Cumberbatch’s fans obviously not only know that he is a brilliant actor who literally gets under the skin of every figure he plays and reads every available snippet helping him to understand the character. They adore Benedict because – after all the fame and all the success he now has as an actor who can easily decide which role to take – he’s still that guy you may meet at a bookstore or on London’s tube (which is known because fans spread the news on twitter) and who is always astonished that people gather at the set of “Sherlock”. Here they wait patiently for him to come along, politely signing autographs, chatting with his fans and taking pics with them. Pics that will instantly flood the internet and being discussed in every possible detail. Although Benedict once in a while confirms that he is not on any of the social networks, he nevertheless rules the internet (You of course know that he chatted with fans on a AMA on reddit – you find my transcipt here. But this is a rare moment). The worldwide fandom stays in touch on the internet as a place to meet and share it’s love. Being part of the Cumbercollective is much more than giggling, crying and fangirling around. Women who are confessed fans (rumours say that there are also men around) are intelligent, self-assured, manage their lives and have much wider interests. 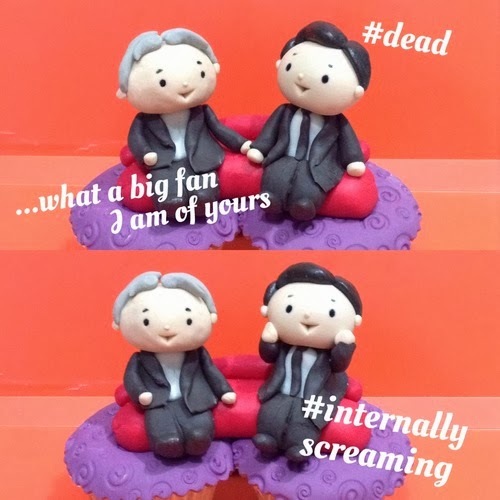 Interests that are also inspired by Benedict who nourishes countless blogs that only exist because of him, inspires his fans drawing (well not only) and writing about him (as you see in this blog), and creating such lovely things like these Cumbercupcakes within a breathtaking short amount of time. 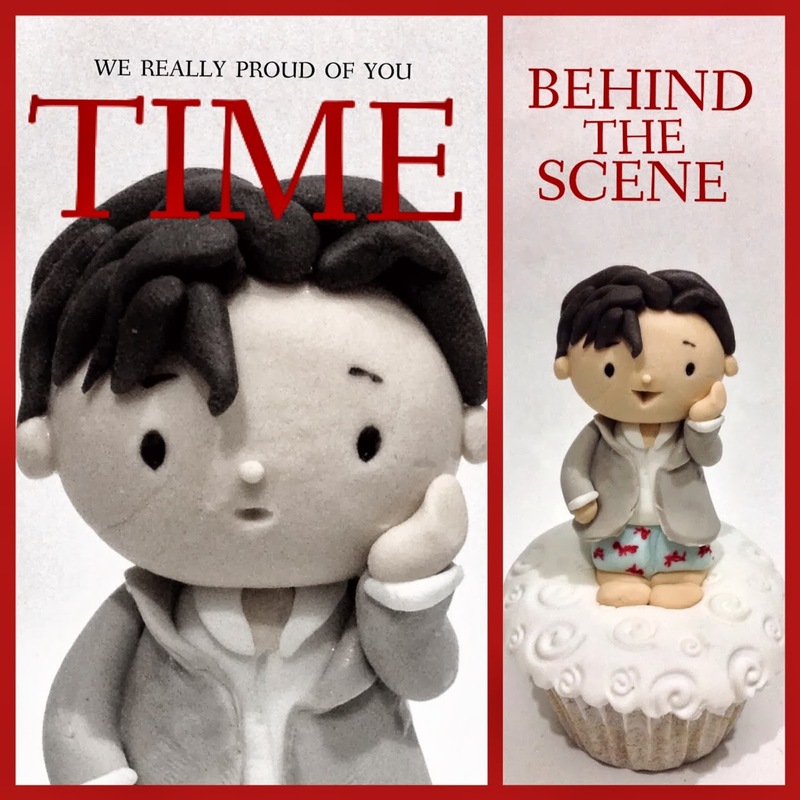 His fans watch over him like a Gentle Giant eager to have his back when needed, giving money for charity as a birthday gift, funding the film “Little Favour” created by his company Sunny March. They follow his preparations for his roles by reading Arthur Conan Doyles’ original Sherlock Holmes’ stories, learning about Alan Turing (who Benedict is about to personate in a new film), Salomon Northup’s life he wrote down as “12 Years a Slave” and about Wikileaks in “The Fifth Estate”.